Today I’m departing from the #BEDN prompts because I’ve got a book to review. 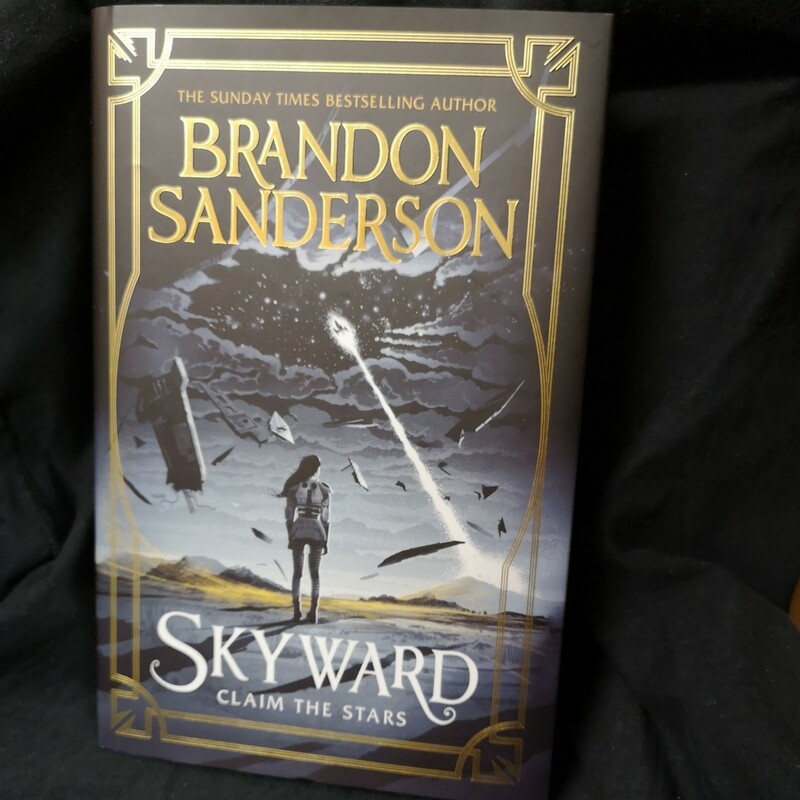 Brandon Sanderson’s Skyward Claim the Stars is a fantastic SF adventure, the sort of book I absolutely love. It rockets along with unexpected twists and turns, never slowing to let you catch your breath. I’ve no idea how I’ve not read any of his books before, but at least that means I’ve a few to catch up on. When I’ve finished this one, at 510 pages I didn’t quite manage to get through it this week. Spensa’s world has been under attack for hundreds of years. An alien race called the Krell leads onslaught after onslaught from the sky in a never – ending campaign to destroy humankind. Humanity’s only defense is to take to their ships and fight the enemy in the skies. Pilots have become the heroes of what’s left of the human race. Spensa has always dreamed of being one of them ; of soaring above Earth and proving her bravery. But her fate is intertwined with her father’s – a pilot who was killed years ago when he abruptly deserted his team, putting Spensa’s chances of attending flight school somewhere between slim and none.